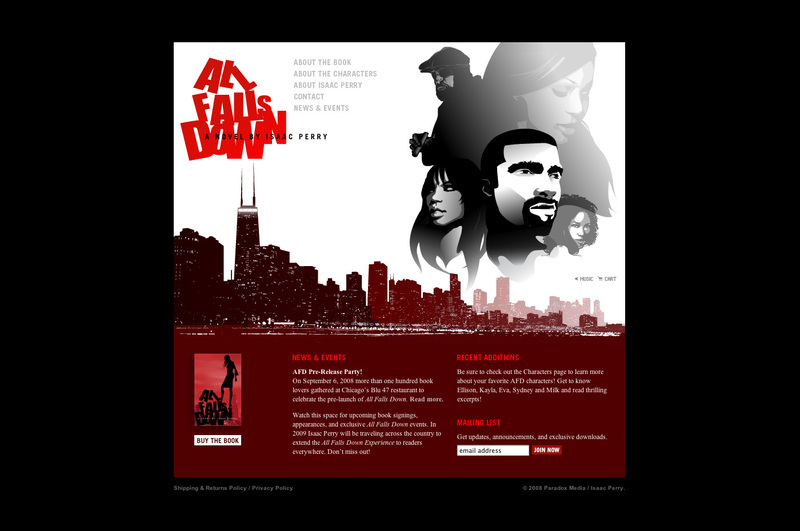 This is the Web site for Isaac Perry’s hip, gritty novel “All Falls Down.” The design was based on the artwork for the cover. 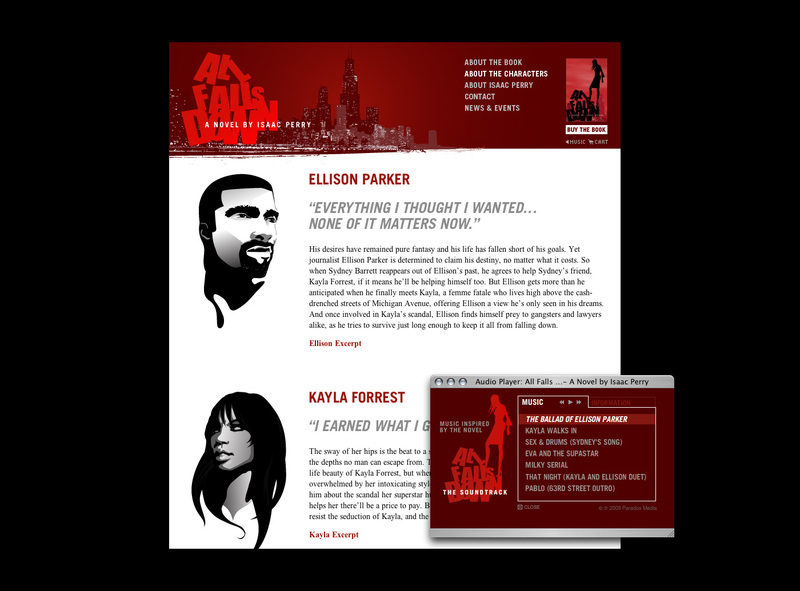 Isaac wanted to create a whole brand experience for the book. So, we created a rich experience with updates, music, and animation. 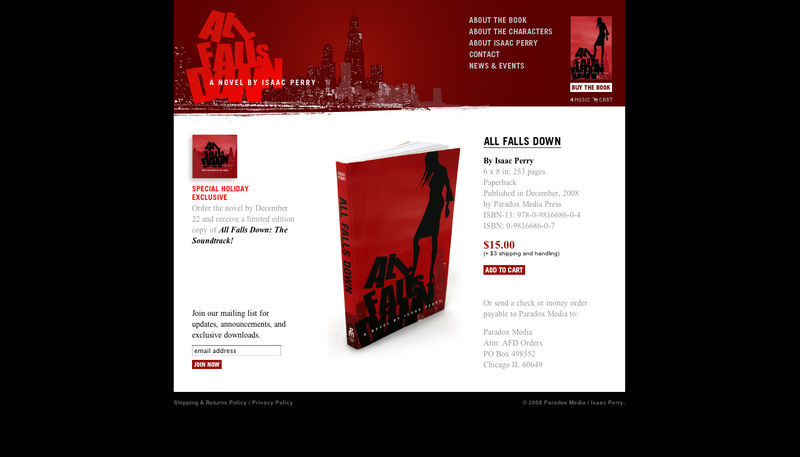 The novel will be sold primarily through the site, which uses GoodBarry to track sales/inventory, and gives Isaac control of everything.